A Chinese-owned Italian brand, Benelli makes some of the most beautiful motorcycles we have ever seen (Benelli Tornado anyone? ), but the company has been rather absentee since getting acquired by the Qianjiang Group. Sure, Benelli seems to walk out a new variation of the Benelli TnT or TRE-K just about every year or so, and the Benelli Due has been a work in progress since before the first Obama administration, but for the most part, Benelli has been phoning it in when it comes to its proper motorbikes. That seems to be changing though, as at EICMA the Italian brand will debut the Benelli BN600 — an 80hp, 600cc, inline-four street-naked. Building off the same established Benelli road-bike aesthetic, the BN600 (we cant tell if that that is Mandarin for either ‘horrible motorcycle name’ or ‘Benelli Naked 600cc’) is an interesting new model from Italy’s other motorcycle manufacturer, as it adds yet another street-naked to the Benelli line, and is close in displacement to the 118hp Benelli TnT 899. Featuring a liquid-cooled, DOHC, fuel-injected, four-valve, 600cc engine with 38mm throttle bodies, Benelli is making a move from its quirky triples to a more “Japanese” four-cylinder power plant. Not an overly high-performing motorcycle, the peaky Benelli BN600 makes 82hp @ 11,500 rpm, with peak torque being 38 lbs•ft @ 10,500 rpm. 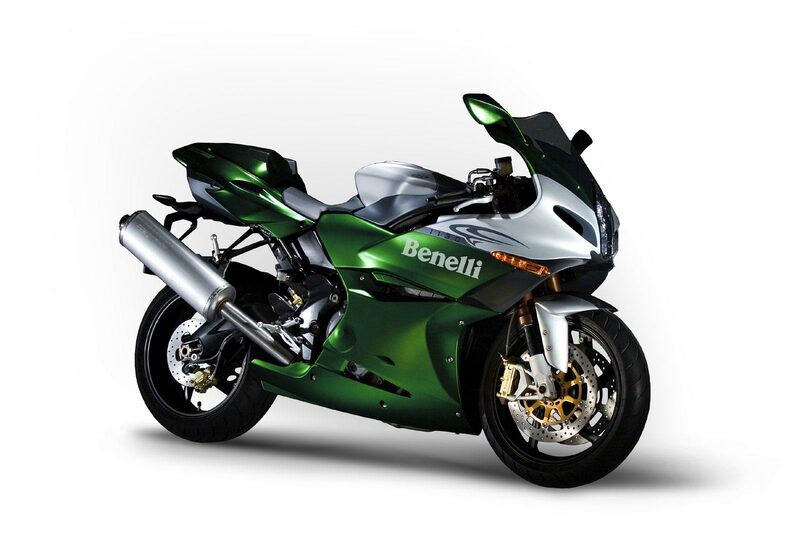 Wet sump, wet clutch, six-speed gearbox, Benelli says the BN600 will have a “really competitive price” — whatever that means. The chassis is a steel trellis / aluminum plate design, with 50mm USD forks and 320mm radial brakes. Benelli’s info is a bit tough to understand, but wouldn’t expect too much adjustability in the stock suspension, as this has all the makings of a budget motorcycle. Rounding out the specs are the BN600’s 17″ wheels with 120/70 & 180/55 tires, front to back respectively. The fuel tanks is 3.92 gallons (16 liters), and colors will be white, black, and orange. Perhaps a bit underwhelming, especially considering Benelli’s absense of anything substantively new in the marketplace, the BN600 is still a sharp looking machine. If the company is true to its word that the Benelli BN600 will be priced competitively, there could really be an exquisite looking budget machine to be had here…assuming you can get past Benelli’s dubious history with unreliability and non-existent dealer network. Set to be available mid-2013, we will have more details next week.